Though I have competed in USDAA Agility trials, I discovered another venue for agility dogs. It’s called the Teacup Dog Agility Association. Why do I love it so much? Because it was designed for little dogs, all those measuring 20″ or less (see your local club as many still hold true to the 17″ & under rule). 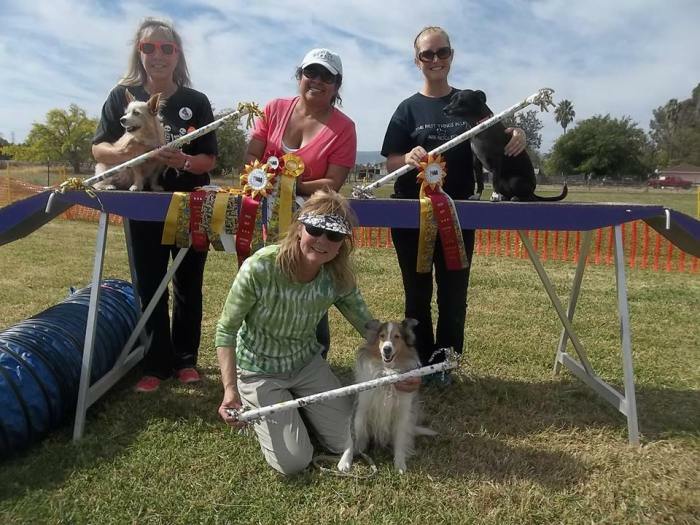 If you arrive at a trial the first thing you will notice that all the equipment has been sized down for the small dogs and the course is smaller in overall dimensions. Since I had decided that I would no longer own large dogs, sorry I was stung by the Shih Tzu bug, I headed to Salt Lake City to become an agility judge for the Teacup Dog Agility Association in May 2013! It was a decision made at the spur of the moment and I couldn’t be happier with my decision. So why do I love being a judge for this organization? I love the work before the actual work. I love creating courses that can give confidence to the new dogs just starting out, and challenging the advanced levels. A typical weekend trial will normally have 2 standard courses each day along with 2 games. This means that I am creating a total of 6 standard courses; 2 for beginners, 2 for intermediate, & 2 for superior level dogs for each day. All courses are built within each other so it makes it easy to remove obstacles for the lower levels from the superior class with slight adjustments to how the courses are run. This makes the day run smooth and fast, normally we are finished with the trial each day by 1 pm. And key ingredients to building these courses is SAFETY for your dog, and CHALLENGING for you! 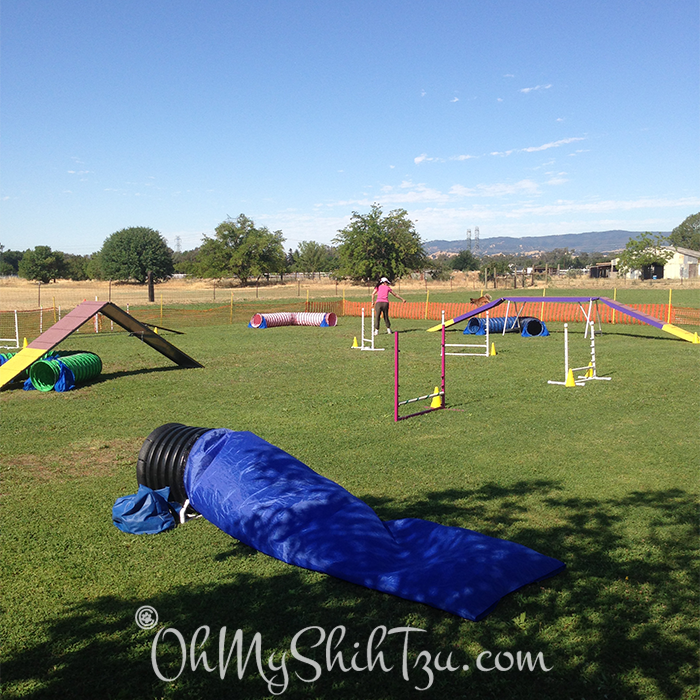 It is so much fun to see little dogs run a course with such zest and enthusiasm! Though not every run can be a clean run, no one is upset for a missed jump or missed contact, here it all about having fun. With the fun though comes all the great accomplishments of training hard and that is seeing great dogs Title in Agility! Three TAChs in one day, Terry and Chewie TACH2, Maura and Juno TACH1, Deborah and Sailor TACH1 !! Judge Christine Paul (center) !! Since this is such a small community, especially here in California, everyone is close and friendly. Everyone knows everyone by first name, or at least the dogs first name. If you are experiencing a TDAA trail for the first time, then you are welcomed with open arms and helped out with any questions you may have. So if you have ever wanted to know more about or agility, or thought you never could because the size of your dog, there is nothing holding you back now! Be sure to follow the link learn more about Teacup Dog Agility Association. 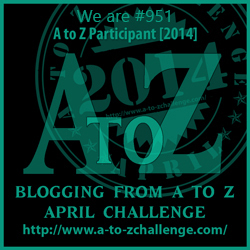 We are so happy to be participating in this months A to Z Challenge! I had no idea you were into agility. That has GOT to be so much fun. We thought about it for our dogs, but don’t have the time to commit to it, but I think it would be fun to have some of the course equipment on our project. It’s so much fun…when i see you at blog paws I will bring you some course equipment instructions… I have become an expert with PVC. Agility looks like so much fun! I know it is a lot of work also though! Thanks for linking up with us! Jenna,Mark “HuskyCrazed” Drady recently posted…Sibe-Vibe Saturday, sepia style! It is!! And though I just talked about TDAA, huskies love it too at the big dog venues!!! Hello California neighbor! Looks like a lot fun! 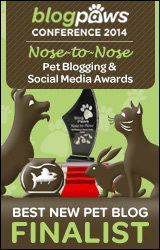 Thanks for joining in the Pet Parade again and congrats on being featured! Thanks so much!!! You guys totally made our day!! Oh My Dog! We LOVE agility. We mean truly adore it. Check our blog out sometime? We think your’s is PAWsome! We so love your blog and have been followers for a while!! We are huge Earl Fans!! Looks like awesome fun to be a judge! It is soooo much fun, though it is a lot of work, but it is so worth it!